A story ran in the Mobile Press-Register on Sunday, July 29, about the death in September 2011 of a basketball player at Anderson College in South Carolina related to the effects of synthetic marijuana. The product is still legal in some 20 states. It generally goes by the street names of Spice or K2. The player featured in the story, Lamar Jack, was going through preseason conditioning drills when he began complaining of cramps and blurred vision. He suddenly collapsed and was rushed to a nearby hospital. When he arrived at the emergency room his temperature was very elevated. He died four days later at age 19. The coroner’s report cited the cause of death as “acute drug toxicity” that led to multiple organ failure. The chemical JWH-018 was found in Jack’s body. This chemical is used to make Spice. The National Center for Drug-Free Sport reports that Spice use produces a heroin-like high. Because it is synthetically produced and unregulated, there is no way to determine exactly what chemicals are used in its manufacture. 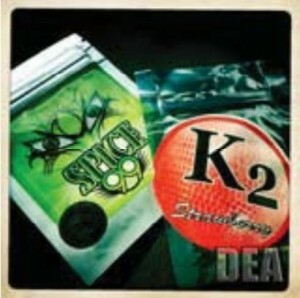 Synthetic marijuana commonly known as Spice or K2. Reported effects range from increased heart rate and blood pressure to horrible examples of seizures and convulsions. So far, there seems to be no way of accurately gauging how the use of this drug will impact any one person. Use of this drug has reportedly skyrocketed during the past 18 months. The world of athletics has not been immune to this problem. In April 2012 former Auburn star running back Michael Dyer testified at the robbery trial in Auburn of a former teammate. This individual, along with three other Auburn players (all four were immediately kicked off the team and out of school following their arrest) used a gun owned by Dyer in the failed robbery attempt in September 2011. Dyer testified that he had given the gun to his former teammate but had tried to talk him out of doing anything stupid. Dyer also admitted on the stand that he had smoked Spice that evening with the four players. Dyer testified that he frequently smoked Spice while at Auburn, as well as regular marijuana. Dyer had been dismissed from the Auburn football team in early 2012 for unspecified violations of team rules. At the time, rumors circulated that he had failed more than one random drug test. Dyer subsequently enrolled at Arkansas State after his former offensive coordinator at Auburn, Gus Malzahn, took the head coaching job at that school. Now news came out on July 29 that Dyer had been dismissed from the Arkansas State football team for “unspecified violations of team rules.” It was reported on July 31 that a media outlet in Arkansas has successfully obtained a copy of a video taken from an Arkansas State Trooper’s car on March 10, 2012. The video, and accompanying audio, were obtained under a public records request. The audio clearly indicated that Dyer was stopped for speeding and that the officer also found a gun and what was believed to be marijuana in Dyer’s car. The officer lectured and berated Dyer and threatened to report the incident to Coach Malzahn. It is unclear whether or not Malzahn was contacted afterward. Dyer was charged with driving 96 in a 70 mph speed zone and fined $175. He was never charged with anything related to the gun or marijuana. Yet almost at the same time the video was turned over by the state, Dyer was dismissed from the football team. In October 2011, three LSU players were suspended for the Auburn game. ESPN reported at the time that the suspensions were for use of synthetic marijuana. LSU officials reportedly confirmed the report off the record. Statistics from the American Association of Poison Control Centers (AAPCC) suggest that usage of synthetic marijuana is a growing problem among the general population. The AAPCC reports that calls to poison centers in the U.S. grew from 2,906 in 2009 to 6,959 in 2011. President Barack Obama signed into law earlier this year the Synthetic Drug Use Prevention Act of 2012, which makes it against federal law to use, possess or distribute a specified list of synthetic cannabinoids. This is clearly a problem that authorities are trying to catch up with. Student-athletes responding to surveys have told the NCAA that they have used Spice because, until recently, it was legal; they didn’t believe their schools tested for it; and they believed that drug tests couldn’t detect it. The NCAA conducts anonymous surveys of student-athlete use of illegal drugs every four years. The next survey is scheduled for 2013. The most recent survey did not ask about the use of synthetic marijuana. The survey to be conducted next year will ask these questions. Former Georgia running back Isaiah Crowell was arrested in Athens, Ga., in late June and charged with possession of an illegal gun. The arresting officer smelled marijuana in the car but a search turned none up. Crowell has since been dismissed from Georgia and is now enrolled at Alabama State in Montgomery, where he plans to play this fall. NCAA student-athletes are products of society and they reflect society’s values and problems. There is no question that the use of synthetic marijuana is a growing problem in our population and thus with our athletes. What is troubling is the attitudes that society projects about this problem. Dyer had no trouble moving from Auburn to Arkansas State, where he lasted about four months before getting dismissed. Crowell had no problem finding a new home at Alabama State. The State Trooper in Arkansas back in March was reportedly willing to ignore what he found in Dyer’s car and only issued a speeding ticket. The school did nothing until the matter became public knowledge at the end of July. The growth in the availability of synthetic, mind-altering drugs is troubling. The apparent ease with which many college athletes approach these drugs suggest that the problem will get worse before it gets better. Schools only began testing for the substance in 2010. Just in the past year, Auburn has dismissed or suspended 10 football players. One was sent home after he was convicted of an alcohol-related offense. The others were all to one degree or another involved in the use of synthetic marijuana. Coaches and administrators of college sports teams face a difficult task in trying to educate student-athletes about the problems associated with the use of synthetic marijuana. This is especially difficult because it appears that many student-athletes see nothing wrong with using the product, even despite the death of someone like Lamar Jack. Greg Tyler is the Library Director/Archivist at the United States Sports Academy. He also is the editor of the Digest and teaches sports law classes at the Academy. He is concerned about the problems of substance abuse and their impacts on intercollegiate sports.